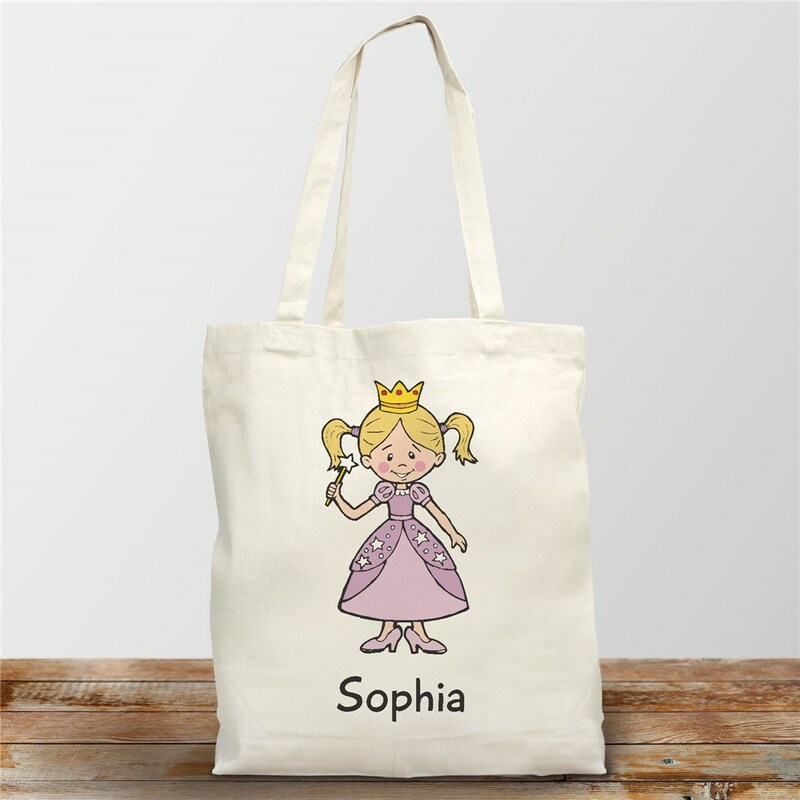 From grandma dressed up in a witch costume to a pretty little princess, this fun Halloween tote bag is perfect for the big day. 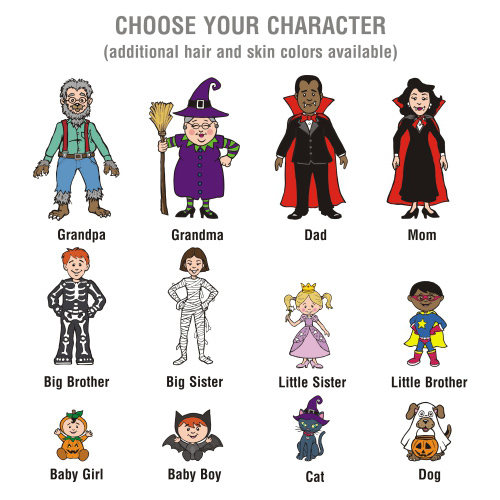 You choose from 12 character options and we'll custom personalize these Personalized Trick-Or-Treat Bags with any character and any name. *Please Note: Enter the personalization as you wish it to appear on the design. Example: "Mom- Light Skin - Blonde Hair" and any name. Such a cute idea for “GiGi” to have her own bag!! These canvas tote bags are very well made. Perfect for my grandchildren!! I gave these trick or treat tote bags to my Grandsons, aged 6 & 2, they loved the bags & can't wait to use them this Halloween.